Worksheets can be a great way to learn! I really, really loved them at school and at home. You’ll find over 15 pages of Easter themed worksheets – writing practice for numbers and letters, fun mazes for kids to solve, matching pictures with words, practicing beginning letters,unscrambling scrambled words (I loved this so much when I was a kid I did them everyday and became invincible!) and more! My nephew – he’s 3 and a half is currently crazy about numbers! He’s been saying numbers since he was 2 and a half (he didn’t know what they stand for though but knew the sequence, skipping a few numbers here and there 14 being his favorite to skip). In the past few months he started counting and this is still one of his favorite things to do – he counts everything! I’ve printed the number tracing worksheets for him and his eyes shined! While he still can’t write them down as they “should” be (obviously and naturally) tracing numbers really makes him happy as he’s “writing” them down. Writing Practice Worksheets – there are 5 pages full of tracing letters and words. Beginning Letters – kids have to circle the beginning letter matching the image. Easter Vowels – kids have to write in the missing vowels. 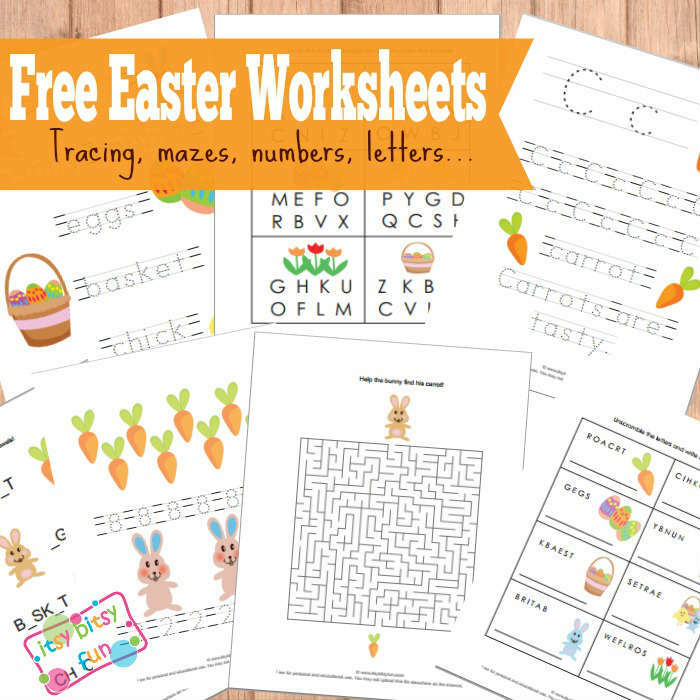 Number Writing Practice – 5 pages of tracing numbers from one to ten with Easter themed images. Get your free printable and Fun Easter Worksheets here. You can print it in black and white to save printer color.